I realize very well that aside from using quality ingredients and applying the right techniques at the kitchen, using the right kitchen tools is just as important. After all, they do affect the way dishes come out. 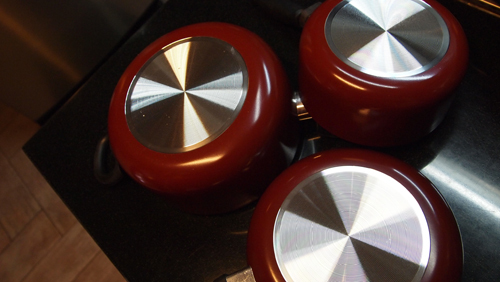 As a practical home cook, here are my criteria on how to choose pots and pans well. Budget – Budget pretty much determines everything. If quality is priority, then one has to be prepared to pay for it. If one wants a low price, you’ll need to check if: 1) the quality passes your standards enough; and 2) it will not cause you to spend more later on– it’s false economy that is the result of a save-now-but- pay-more-later situation.. One needs to find his preferred balance of these two variables. Material – For pots and pans, the weight of pots and pans is important to me. I like ones that are sturdy and heavy enough. It’s funny how I’ve seen cheap pans that could not stand on their own without one’s hand supporting it while on a gas stove.I also consider even distribution of heat. Many pans are cheap but do concentrate heat in just one area. 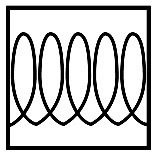 Many are made of thin material and are not durable. Which makes me worry if the colors of the pots and pans would corrode and get into the food — especially those that claim to be nonstick but really aren’t.Let’s also add here one more consideration under material: the stove that you will use. With the popularity of induction stoves, one may want to consider pots and pans that can be used for both induction stoves and traditional gas or electric stoves, if you use different kinds of stoves. 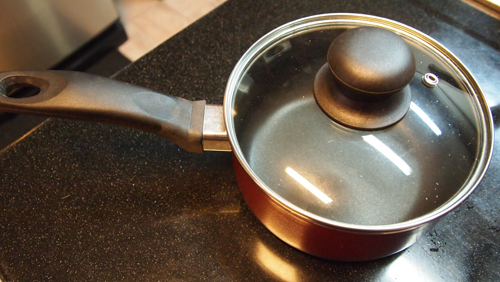 Some sites go to the extent of suggesting that you bring a magnet with you when you shop for pots to check if they can be used for induction stoves. I look for the induction stove symbol to make my life simpler. Design and Aesthetics – This criterion may not be as substantial as the others, but who doesn’t like seeing good, colorful, well-designed tools when cooking? I put my criteria to the test when I needed some pots and pans. I needed a set for some light cooking, and was on a budget. I ended up looking for good options online aside from the supermarket, and came across the Lazada Philippines site. 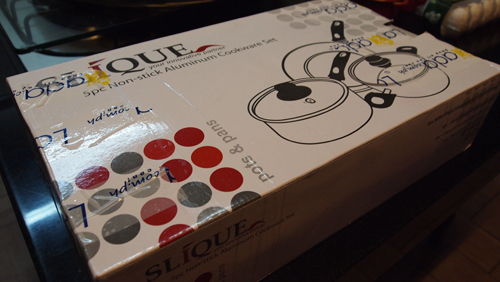 They offer the Slique 5-Piece Non-Stick Cookware, currently priced at P1,399, which is reasonable yet meets my criteria. By the way, the set has been made for traditional stoves. I’ve tried it on my induction stove and it doesn’t work. 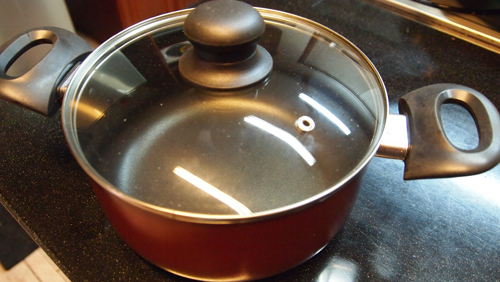 It’s made of aluminum, which is non-magnetic, and therefore, cannot be used for induction stoves. Now, I put quotation marks on the “Dutch Oven” because it’s really not a Dutch Oven in the purest sense. It’s a good stockpot. However, the makers said it themselves: the set cannot be used or exposed at very high temperatures. Hence, this “Dutch Oven” is really for stove-top tasks. So I guess I can’t put my unfinished Boeuf Bourgignon in the pot and leave it in the oven for 90 minutes. I did an egg test to see how good the set is in being a non-stick set. I fried an egg on the set without adding any oil or fat. The good news is that the set passes the test with flying colors. 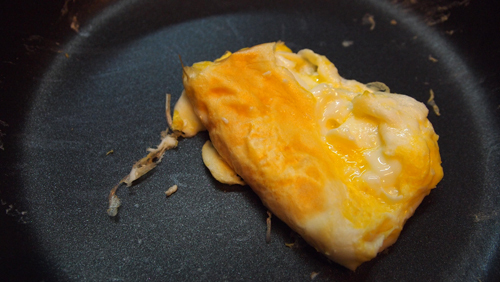 It was fairly easy to get the egg out and wipe the pan after without leaving anything sticking to the pan. I’m looking at my next purchase online. At the moment, I am looking at other possible cookware options from Lazada Philippines, which you may also want to check out. So far, my experience with Lazada has been good. The set was packaged securely. 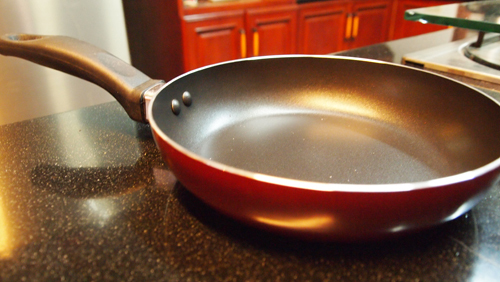 This entry was posted in Products & Services, Rated by Ralph and tagged 6.5-inch sauce pan, 8-inch frying pan, and an 8-inch Dutch Oven, Dutch Oven, How to Choose Pots and Pans, Lazada, Pots and Pans, Pots and pans review, Pots and Pans Reviews, ralph guzman, RatedRalph.com, RatedRalph.com Review, sauce pan, Slique 5-Piece Non-Stick Cookware. frying pan by Ralph. Bookmark the permalink.